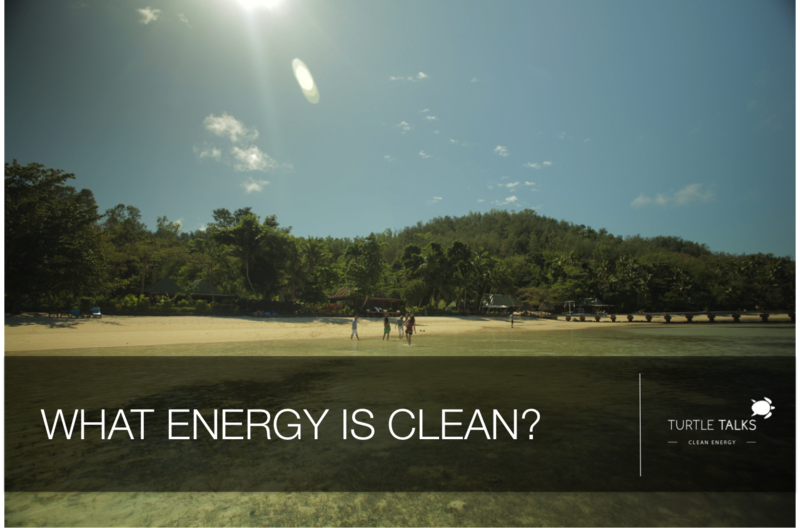 Episode #4: What is Clean Energy? Strategies to change the energy infrastructure of cities, states, provinces, and countries should require the use of only the “cleanest” energy technologies. Otherwise, the 4 to 7 million premature air pollution deaths that occur each year worldwide due to fossil fuels and biofuels, the unprecedented rate of increase in global temperatures caused by these fuels, and the economic instability associated with diminishing traditional fuel supplies will be more difficult to contain in the future. Fortunately, the most abundant clean energy technologies today, when used on a large scale, are less expensive in terms of direct cost than are traditional fuels. Traditional fuels also result in large hidden costs that are not reflected in their direct cost but that everyone in society pays. Hidden costs due to fossil fuels and biofuels arise from more hospitalizations and emergency room visits; higher health insurance premiums and workman’s compensation rates; more lost work days and school days; increased coastal flooding and damage to agriculture; increased heat stress and heat stroke; increased malaria and influenza; increased air pollution from higher temperatures; increased severe storminess, droughts, and floods; increased ocean acidification, and more. So, then, what are these clean energy technologies? “Clean energy technologies” are technologies that produce, use, or store clean electricity. “Clean electricity” is electricity that eliminates, over its lifetime, 96-100% of all air pollution and greenhouse gas emissions compared with conventional fuels while minimizing land use, water use, and catastrophic risk. In 2009, I reviewed different electric power and transportation technologies (Energy & Environmental Science, 2, 148-173) in light of those factors and in light of their impacts on wildlife, resource availability, thermal pollution, water chemical pollution, and nutrition. The top-ranked (cleanest) electric power solutions to global warming, air pollution, and energy security from the review were wind, concentrated solar power, geothermal power, solar photovoltaics (PV), tidal, wave, and hydroelectric power. None of these electric power generators produce electricity by burning; they all take advantage of mechanical or radiative energy. They are all ultimately powered by wind, water, and sunlight (WWS). Fuels that must be burned to produce energy are by nature dirty because they create pollution that people breathe and that damage the climate, and there is no way at this time to reduce their emissions to nearly the same levels as the WWS options. Traditional combustible fuels for electricity include coal, natural gas, oil, diesel, and biomass. Natural gas, for example, produces over 60 times more pollutants and greenhouse gases per unit energy than wind. Even biomass, which can be regrown, is dirty because it must be burned, producing pollutants that are not recycled, and because cultivating, cutting, transporting, and preparing the biomass takes energy that is often fossil energy. Technologies such as “clean coal,” where carbon dioxide emissions from a smokestack are piped underground, are also dirty. This technology reduces stack emissions, but it doesn’t reduce emissions during the mining or transport of the coal. In fact such emissions increase 25% because 25% more coal is needed to run the capture equipment. Further, all other pollutants increase 25% since the capture equipment does not reduce those pollutants. As such, “clean coal” produces 50 times more carbon dioxide and over 120 times more pollution per unit energy than does wind energy. Nuclear power does not involve combustion, so at first glance would seem “clean.” However, uranium refining is an energy intensive process and occurs over the life of the nuclear plant. Also, a nuclear reactor takes 10-19 years to plan, permit, and construct, compared with 2-5 years for a wind or solar farm, so selecting nuclear over wind or solar results in 5-17 more years of pollution coming from coal and gas plants. As a result, nuclear emits 9-25 times more pollution and greenhouse gases per unit energy than does wind, so is not clean. In addition, it is associated with the risk of nuclear meltdown (1.5% of all reactors ever built have melted to some degree), nuclear weapons proliferation (at least 5 countries have developed weapons secretly under the guise of civilian nuclear energy programs), and radioactive waste issues. The clean WWS technologies listed above are now available not only for electricity, but also to provide power for clean transportation (e.g., electric and hydrogen fuel cell vehicles), heating and cooling (e.g., electric heat pumps for air and water heating and air cooling; heat exchangers; chillers), industry (electric arc furnaces, electric induction furnaces; dielectric heaters), and homes and commercial buildings (induction cookers, LED light bulbs; low-energy appliances). Clean storage technologies also exist today. These include technologies to store heat and cold (hot water, chilled water, ice, soil, wax); electricity (phase-change materials coupled with concentrated solar power; pumped hydroelectricity; hydroelectric power, and batteries); and transportation energy (batteries and hydrogen). Together, technologies that produce, use, and store clean WWS electricity can be used effectively today to transform the energy infrastructure of the world to a clean, healthy infrastructure. There is little downside to the transition. Barriers to the transition are neither technological nor economic; they are primarily social and political. About Mark Jacobson: Mark Z. Jacobson is Director of the Atmosphere/Energy Program and Professor of Civil and Environmental Engineering at Stanford University. 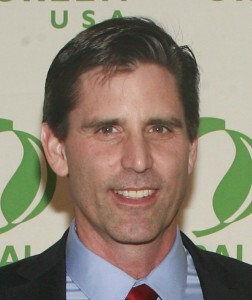 He is also a Senior Fellow of the Woods Institute for the Environment and of the Precourt Institute for Energy. He received a B.S. in Civil Engineering, an A.B. in Economics, and an M.S. in Environmental Engineering from Stanford in 1988. He received an M.S. and PhD in Atmospheric Sciences in 1991 and 1994, respectively, from UCLA and started on the faculty at Stanford in 1994. He develops and applies computer models to understand air pollution, global warming, and renewable energy resources. He has published two textbooks of two editions each and ~145 peer-reviewed journal articles. He received the 2005 American Meteorological Society Henry G. Houghton Award and the 2013 American Geophysical Union Ascent Award for his work on black carbon climate impacts and the 2013 Global Green Policy Design Award for developing state and country energy plans. He served on an advisory committee to the U.S. Secretary of Energy, and appeared on the David Letterman Show in 2013 to discuss converting the world and U.S. to clean energy. Copyright 2015, Vonu Media LLC. Be on our list for advance notice! Join our list to be the first to know when new Turtle Talks videos are released, and special events are happening.